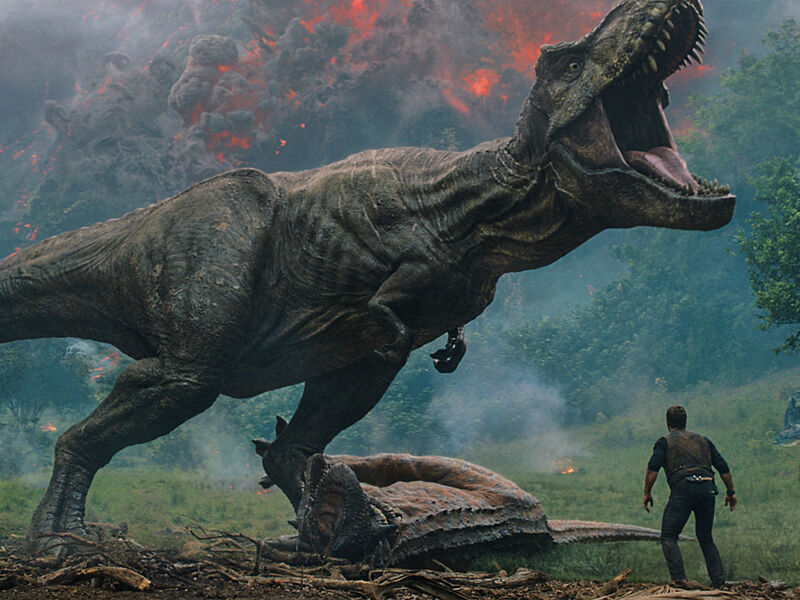 Judging by the massive box office totals for 2015’s Jurassic World, most moviegoers were either blind to film’s many faults or only cared about having another chance to see dinosaurs run amok. 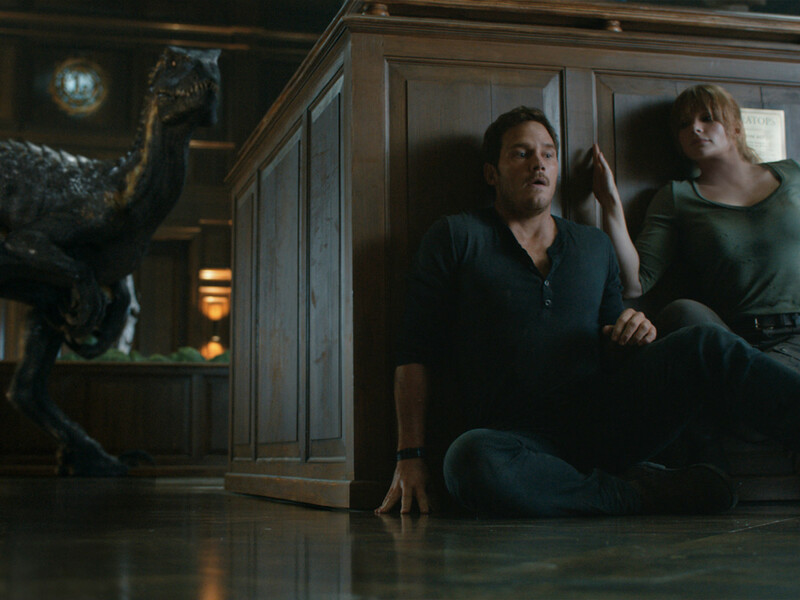 There’s likely nothing I can say to dissuade anyone from seeing the regrettable sequel, Jurassic World: Fallen Kingdom, but I’ll give it a shot. 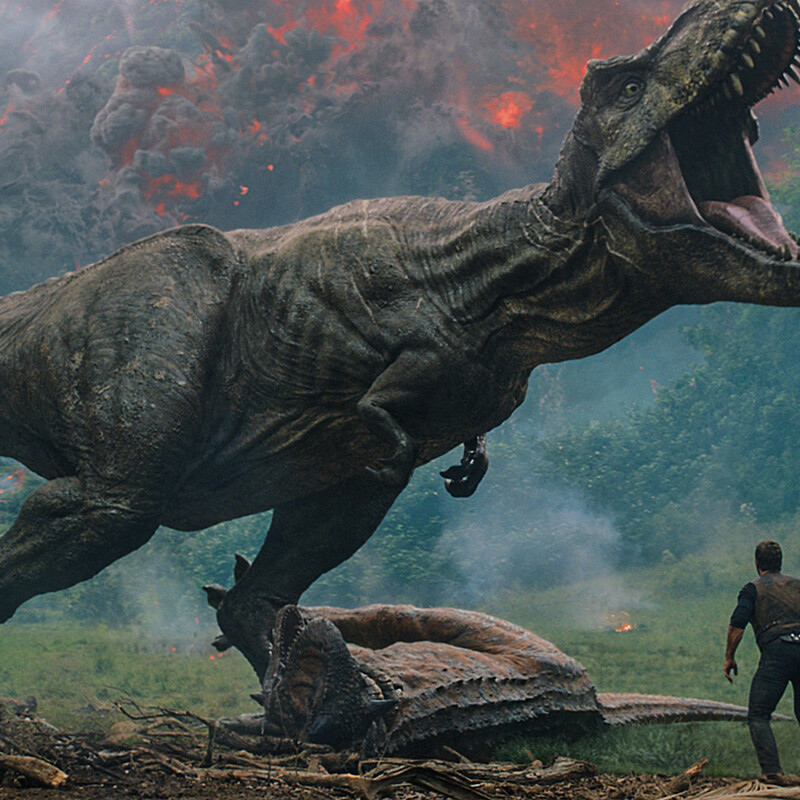 Picking up a few years after the cataclysmic events of the first film, the world is at odds over what to do about the remaining dinosaurs on Isla Nublar as the island’s volcano is about to explode. 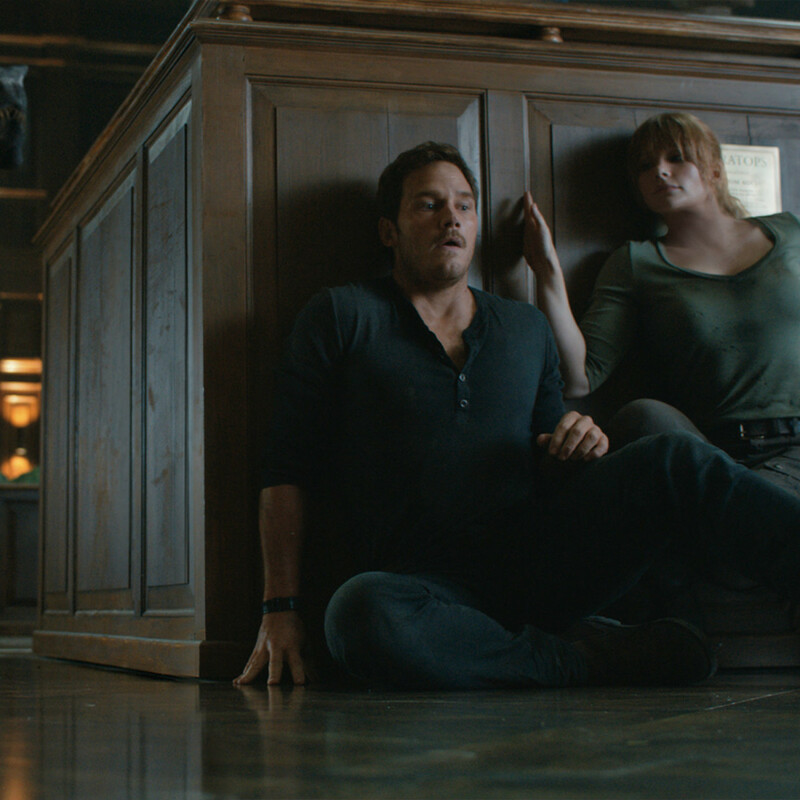 Claire Dearing (Bryce Dallas Howard), now a dinosaur activist, is recruited to visit the island and help save as many as she can. 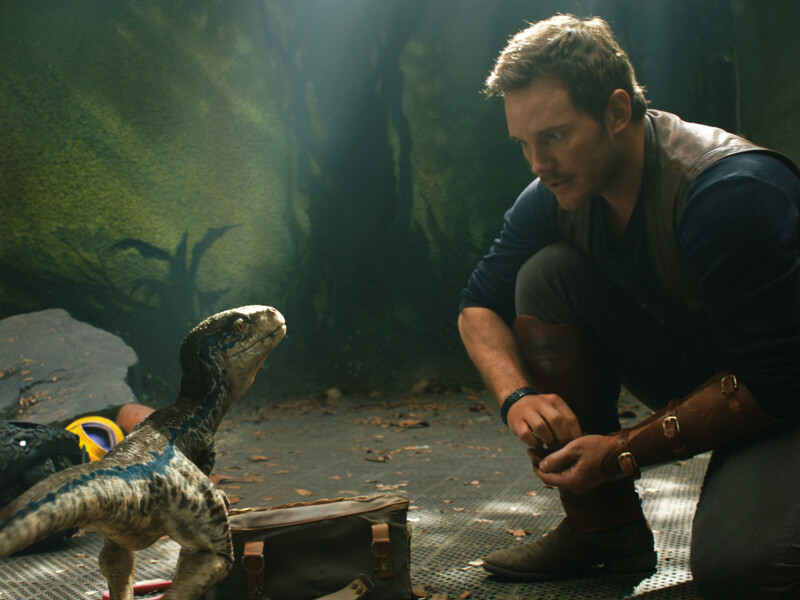 Naturally, she needs the help of trainer/romantic foil Owen Grady (Chris Pratt), especially when it comes to tracking down Blue the velociraptor, which Owen trained. But it wouldn’t be a Jurassic movie without someone being greedy. A trip that was supposed to be about saving the dinosaurs turns into a cash grab that takes the group back to the U.S. home of Benjamin Lockwood (James Cromwell), the heretofore unknown partner of John Hammond. The main problem with the Jurassic sequels, starting with The Lost World, is that none of them contains the wonder of the original Jurassic Park and each film has almost the exact same plot. One side is trying to protect the dinosaurs, the other is trying to exploit them, and the dinosaurs always wind up creating much mayhem. There’s nothing intriguing about the plots, and nuance is thrown out the window virtually from minute one. The first half of Fallen Kingdom, which finds our heroes trying to escape an actively exploding volcano, is patently ridiculous. 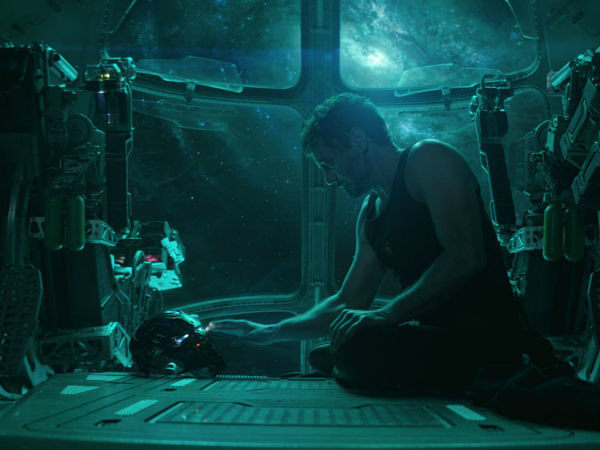 Even for a science fiction movie where suspense of disbelief is required, director J.A. Bayona and writers Derek Connolly and Colin Trevorrow throw in situations so out there that an eye roll is the only appropriate response. The second half is slightly better, as the filmmakers try to make things fun on occasion. But they still hamper the film with too much seriousness and about five times too many dino ex machinas, in which certain favorable dinosaurs come out of the blue to save the day. That device was a great ending to Jurassic Park; it has been overused ever since and now stands as a testament to lazy writing. Pratt and Howard are agreeable enough leads, but they don’t offer enough to distract from the inane plot. Villain turns by Rafe Spall, Toby Jones, and Ted Levine are all way too over the top. Relative newcomers Danielle Pineda and Justice Smith are set up to be part of the team going forward, but there’s little that’s compelling about either one of their characters. 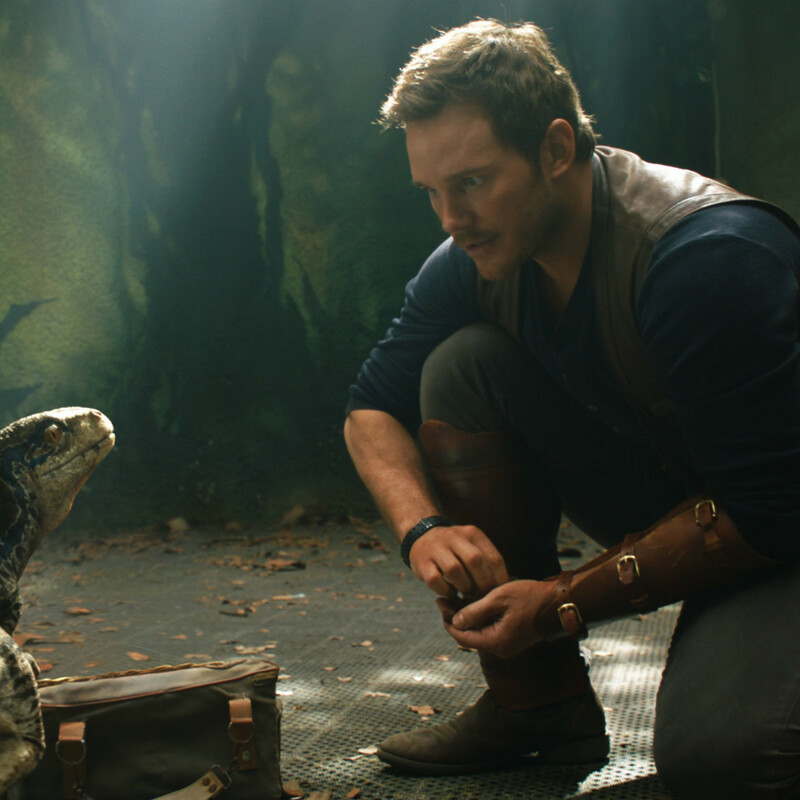 Given the sequel culture we now live in, there are sure to be many other Jurassic World movies to come; in fact, No. 3 is already slated to come out in 2021. But unless they magically come up with films with interesting plots instead of re-creating the same dino chaos, the series is best left ignored.